In his early 70s, author Daniel Klein saw his peers taking up jogging, studying new languages and wearing hormone patches to charge their libidos. Klein already harbored a few misgivings about the frantic striving of the “new old age” when a trip to the dentist prompted an epiphany. Klein returned to the Greek village and philosophers he has visited for decades to discover authentic ways of aging. 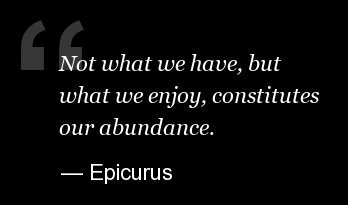 In his funny and wry account, “Travels with Epicurus: A Journey to a Greek Island in Search of a Fulfilled Life,” he concludes that old age is a privilege to be savored, rather than a disease to be cured or a condition to be denied. So if not the new old age, then how do philosophers suggest one should craft a meaningful old age? Unplug The Clock: Klein captures the decidedly American fear of running out of time, quoting author Eva Hoffman, an immigrant to the U.S., who writes: “It was not only that time moved faster in America -- it pressed onwards in more stressful ways. …Everyone suffered from the stress of not doing enough, or the possibility of doing more, or at least feeling good or guilty about it.” Old age is the perfect stage to let go of those anxieties, Klein said.